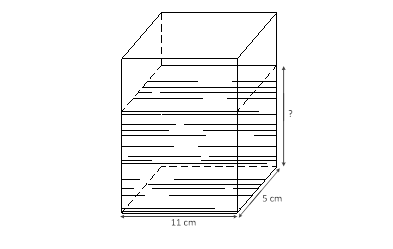 A rectangular container contains 660 cm3 of water. Its length is 11 cm and its breadth is 5 cm. Find the height of the water level in the container. The height of the water level is cm.